Ok, I really have no idea what number lesson I’ve learned from being in nature…I just know it’s been a lot so 692 seemed like a good enough guess. Everyone I’ve talked to who lives in and around Winnipeg thought this was one of the best summers ever. We had lots of sun and lots of warm weather for pretty much a three month stretch. We had very little rain so there were basically no mosquitoes. That may have been the best thing about summer as it made it so easy and peaceful to spend time outside, day and night. Now that September is here, we’ve had lots of rain and it’s been cooler. I don’t hear very many people appreciating the wet and cold and I have to admit, I’m missing the warmth and sunshine. I’ve even avoided taking my dogs for their regular walks a couple of days because it’s cold and it makes me uncomfortable. What struck me the other day on my dog walk (the sun was back) was how green, lush and thick the grass was. A couple of weeks ago, before the rains, I had noted how dry things were and I appreciated that I rarely had to cut my lawn this summer because it just wasn’t growing. 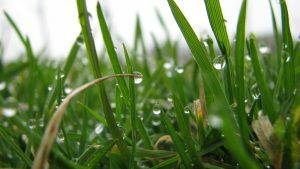 The rain and the cooler weather (uncomfortable to me) was exactly what the grass (and trees and flowers) needed to grow and express its beauty, even if it will only be for a few weeks before the freezing temperatures arrive. It’s not really a new lesson I learned from this observation but simply a reminder. There are rainy days in our lives that bring dark clouds and sadness. I often find myself wishing these days away and judging them as “It was a bad day”. But I’m learning that if I’m able to give myself some space to reflect on these “bad” days, I am much more aware of where my emotions and discomfort are coming from. If I can fully accept these emotions as part of my human experience, they tend to loosen their tightening grip on my heart. Instead of the sad/uncomfortable emotions squeezing and twisting my heart, causing more pain, when I accept my feelings just as they are, they have the ability to simple hold my heart, with a gentle grip. It’s from this place of awareness and acceptance of the rainy days of my life, that I’m able to grow and display my most alive, authentic self. Just like the grass. P.S. This song kept running through my head as I wrote this article (love the dancing!). Thanks for the reminder. Acceptance that everything is as it should be and making space for the less desireable to just be, and perform ‘its’ miracles. Fall I suppose is truly a master at allowing us to go inward for growth. You’re welcome Melanie. Making space and acceptance are definitely the key for me to have a peaceful heart. Thank you for sharing your reflection. Wishing you some space while away in Vancouver. Great message Patti. Thanks for sharing and loved the song. Permission to share with the monkeys? Feel free to share it with the monkeys, Carol. I’d appreciate it. Thanks. A wonderful blog Patti. Thank you for sharing. I love that you mentioned that you have avoided doing something you love because, with the weather turning cold, it makes you feel uncomfortable. I need to remember your words because it’s so easy to fall into this mindset at this time of year and I have to fight the urge to hibernate (physically, socially and emotionally!). To simply acknowledge the feelings and accept them is when life’s true depth of beauty is revealed. Wishing you a wonderful Fall season! You’re welcome and thank you right back, Suzanne. I’m going to step into coach-mode for a second. How do you sort out when you accept the urge to hibernate and when you have to fight the urge to hibernate? I do not have an answer for you as there is likely a need for each, depending on the circumstance. A peaceful autumn wish for you! Really enjoyed the article, the idea of sitting with discomfort and noticing any beauty that results from it. The song (and dancing) made me smile as it brought back lots of great memories of listening to my mom’s records. LOL about the lesson number! Ah, acceptance… not always easy, but sooo important. Thank you for sharing Patti! You’re welcome Alli. Definitely not always easy to settle into acceptance. Our culture teaches us to fix, change, and avoid discomfort. So we tend to leap into action as soon as we become aware of any discomfort. This keeps the focus external and uses the head to respond. Acceptance is the valuable step between awareness and action. It requires us to slow down and look internally. It lets the heart and spirit have a say in the journey. As an individual who suffers with SADS & BIPOLAR your article hit home for me! Once I get outside & walk my dog I really do appreciate everything around me. I do dread these overcast, gloomy days but getting bundled up, dog beside & putting one foot in front of the other makes me feel so good after it all said and done! I don’t know if the song put a smile on my face or the adorable ‘tweety bird’ dress she was wearing!! Thanks for sharing Joanne. Nature and the outdoors are incredibly therapeutic, aren’t they? My dogs are also great teachers for being in the moment and appreciating everything. That dress is totally the colour of ‘tweety bird’. Thanks for pointing that out.